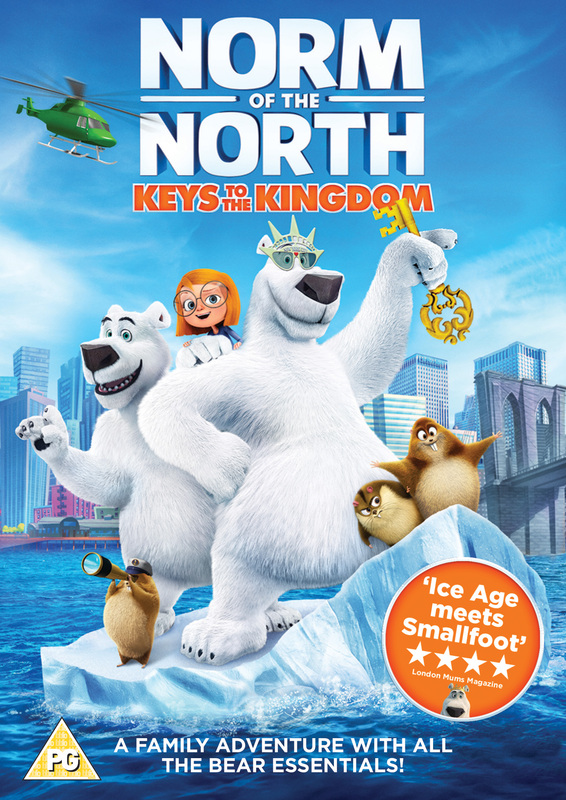 To celebrate the impending Lionsgate DVD release of the Norm of the North film Keys to the Kingdom I have three copies to giveaway. The digital download is available slightly earlier on the 11th of February whilst the DVD release is the following week on the 18th of February. This is a sequel to the 2016 film that your children probably already know and love. My boys certainly enjoyed watching the trailer. They are pleased to hear Norm of the North is back! But now he is royalty as he has been newly crowned as king of the Artic! With great power comes responsibility. In Keys to the Kingdom Norm heads to New York with his son Quinn to receive a key for the city. He is viewed as a bit of a hero! Only to then be blamed for a series of robberies and jailed. His good reputation tarnished! Luckily the lemmings are on the case. I really like those three characters and watching the trailer I also giggled seeing Norm in disguise! Norm must quickly clear his name so that he can get back home to the Artic and stop the bottled-water company stealing all the ice! It involves a high stakes action packed hockey game. There are lots of lovely messages behind the film, like the power of friendship and the importance of good leadership. If it wasn’t for his friends, Norm would never have escaped to put things right and get home to save the Artic. If you would like to enter the giveaway to win one of three copies, please fill in the form below by the 7th of March. Please also enter my other giveaways whilst you are here.